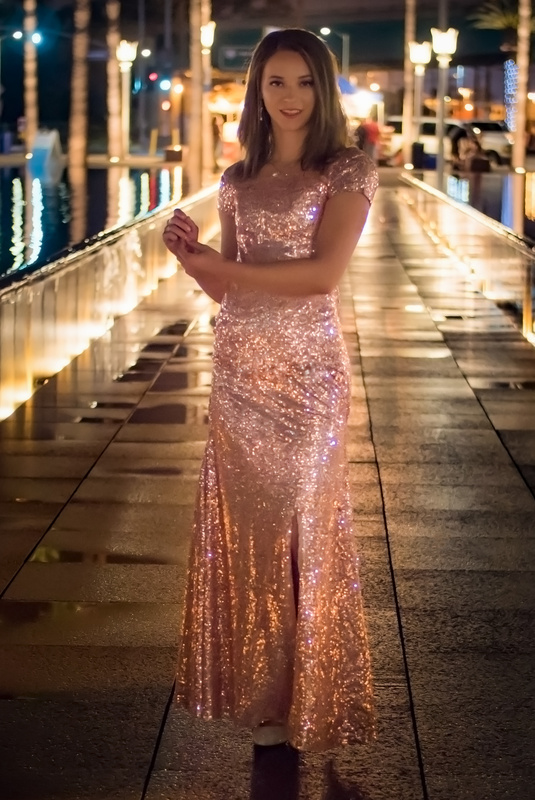 Light up the night in this stunning, sequined gown. On our beautifully modest gown Jess, thousands of sequins dazzle, creating specks of light and shadow that gracefully highlight your every move. A long and flowing skirt elongates the figure, while the knee-high slit adds sophistication. Jess features a rounded neckline and full short sleeves – a combination that is modest yet completely elegant. Fully lined, Jess features an invisible zipper on the back bodice. Shown in Champagne Pink, Jess is also available in a host of other gorgeous colors. This was a perfect experience for me! 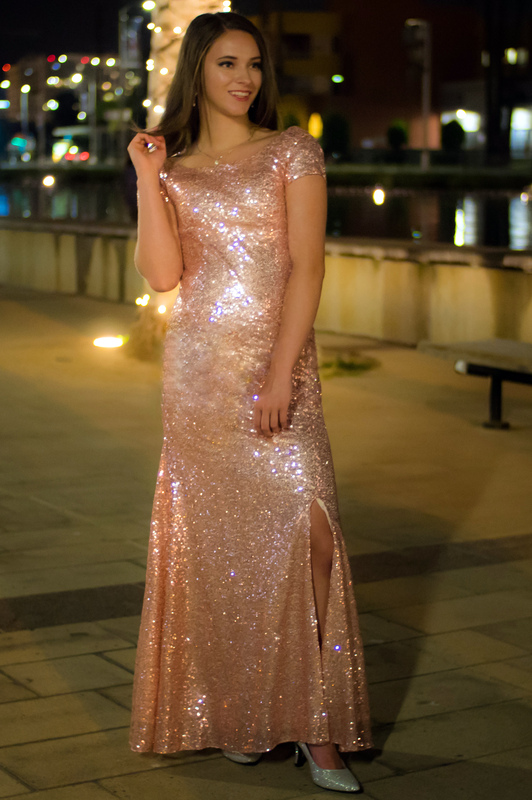 I purchased the Jessica dress in the rose gold/blush color as seen on the model. I needed a gorgeous prom dress for my teen that was also modest.... kind of hard to find in stores these days!! This very modest dress not only made her look glamorous and elegant but it fit her so perfectly because it was custom made just for her! I loved the color and sequins fabric. The price is so reasonable too for all that you are getting! I could not be happier and I am glad Virtous Prom exists!!! Thank you so very much!!!! !